Not many people have noticed how gradually virtual and real lives mixed together. Today we are using virtual world for things we were joyfully doing online. The best examples of these are shopping and interacting with other members. While some scientists research the disadvantages of virtual life and how computers and other technological gadgets negatively influence humanity, we look at the technological progress from the bright side and put all the best inventions and Internet-based services to use. As far as shopping has been just mentioned in the article, let us show you one interesting online service helping people save money on daily shopping and use their savings for education or personal needs. Upromise.com is a useful Internet service not just for students and stay at home parents but everyone, who likes shopping and doesn’t mind saving money on it (Upromise service provides cash-back shopping to its members; currently over 600 stores, restaurants and online retailers support Upromise.com). 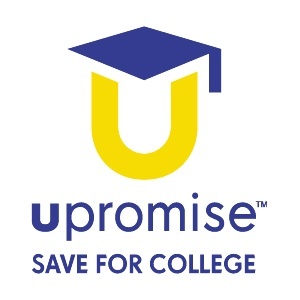 This service was started to help students save money on their college needs but taking into consideration the fact that Upromise listed checks as one of their withdrawal options, money saved with this service can be used to pay for any of your needs. 1) Register an new account and assign one of your debit cards to your user-profile. 2) Shop online by using Upromise.com websites. Hundreds of stores are supported and savings range from 1% to 25%. 3) Activate eCoupons option to receive free coupons for real-world shopping monthly. 4) Use Upromise-activated cards for dining at the restaurants and earn up to 8% cash-back. 5) Invite friends and family members to save money on shopping with you and receive extra savings. The more money they spend, the higher your Upromise earnings are. 3) Withdraw money via check or transfer and spend them to your college or daily needs. CouponChief.com helps frugal people not just save with the help of their coupons but also make money by sharing them. Register on this site, post your coupon codes and get money, when other users use your coupons to save money. CheckPoints.com – this service turns the process of daily shopping into a fun quest. Check into stores, complete special requests, review your favorite products and receive redeemable points for such activities. Jingit.com service produced a FaceBook application to help you monetize your knowledge about selected products. Participate in the life of Internet shopping community, leave your reviews of favorite products and get prizes for doing so. Every student or Internet shopper is always interested in saving money. Extra cash can always be put to good use and Upromise.com helps its members to earn this extra money by doing a very commonplace thing – shopping and eating out. Cash-back percentage reaching up to 25% and a variety of free coupons for offline shopping probably make Upromise.com one of the best free options for saving money on both virtual and real-world shopping.